Well, our annual two-week trip to the French actually started a couple months ago. Steve_Paul and I have been exchanging PM's hoping to meet up for a day. Steve's wife's aunt has a private cottage out of Riverview (Dokis) and if it worked out that Steve and Cindy would be in camp while we were up there, we'd spend a day together seeing what was biting. Everything did work out and the date/time was set. We left southern PA Friday the 5th and headed north. We leave in the early afternoon and drive most of the way. We have been stopping near Waubashene at the Tay Motel along the 400. It's not a fancy place, but the price is right and a place to hang your hat for a night. Upon arrival, we find out that there is a motorcycle event going on and everything in the area is booked full. The owner said our best bet was up in Parry Sound - so off we went. Pulled in to what was once the Jolly Roger Motel. Upon parking, we parked next to a truck and boat that looked a lot like what Steve had described he would be in. Walking across the courtyard, I noticed a couple that that had two small dogs with them. The guy gets up and starts waling over and I hear "Rich ?". Sure enough, Steve and Cindy had decided to stay over that night as well. What a surprise. We sat and chatted together to almost 11:30pm. The next morning we met up and had breakfast together and finalizing the plans for getting together Tuesday. Following breakfast, we went on our way. Arrived at Wolseley Lodge late Saturday am and got settled in. We were still pretty tired from the trip, so we just did a little local fishing, picking up a small pike. Sunday turned into a rain day, so I went out in the morning anyway and managed a few more small pike. That afternoon, we started to experience problems with the boat motor. Coming back to camp, trying to get up on plane, we just lost the RPMs. I could run at about 2000 RPM and all seemed OK. But as soon as I would give it more juice, it just died. Managed to get back to camp under not much more than trolling speed. Still pouring down rain, so I figured I wait until Monday am to pull the cover off the engine to check things out. Figured it was some kind of fuel line problem. Got up Monday, pulled the plugs, and they looked fine. Replaced them with new ones anyway and took it out for a run. Made a run out the bay and back under full power and life is good. Made a second run out ... good. Coming back ... same problem, the RPM's just dropped while getting up under full power. I had a a similar problem a few years back with a blocked valve, but this time, the fuel pump bulb remained hard ... now I'm stumped. Strange thing, it only happens under load. At the dock, I could rev it up to 4000+ RPM and no problems. Up to the lodge I go to try to get an appointment for someone in the area to check her out. Only had to go about 8 miles to a marina, which was fortunate. It ended up being grit/sand in the fuel filter. Replaced the filter, blow out the lines, and good to go. Took her back to camp, launched, and made a few long runs ...life is good. Off we go now. As a side note, I've had engine trouble a few times over the years. Someone in the vicinity was willing to take me in right away and take care of the problem ... once was even a Sunday morning. I give a lot of praise and gratitude to the local marina's as they seem to go out of their way for the tourists in the area. I've only ever had positive experiences and it shows the high quality of folks that I've met along the way. Tuesday was our day with Steve, so we headed back up 64 and took Dokis Road to Riverview. Arrived on time and met up with Steve. Loaded up the boat and off we went to the cabin to drop off supplies. Got a chance to meet everyone and get the dogs acquainted again - which they all got along great. Off now in search of some Walleye. Spent the morning trying different places, but could not locate them. Along the way, Patsy did pick up a nice 24" pike. Had no intention of keeping her, but she inhaled the small crank bait, so we didn't have much choice. Patsy also hooked into a larger pike, but this one got off at boat-side - would have been a great pic. I was able to manage a nice bass, that we also kept to go with the pike for a little fish fry later on in the week. No Walleye's, but Patsy and I had a great time with Steve/Cindy/Pat/Kevin/Jamie. Finished up our time together with some grilling for a late lunch. Thanks Steve & Cindy, and family/friends, for a great day. That was Patsy's best day of fishing for the entire two weeks. Had you not put her on a couple pike ... all she would go home with would have been the memory of a small blue gill. Had quite a few pretty foggy mornings. This day was nice. There were a couple so thick you couldn't see to the end of the dock. Some guys went out in in, but I'd rather not take the chance and just wait a little for it to lift. Caught this one shortly after sunrise. Sunday was kind of a wash out with a cold front coming through in the morning, then the remnants of Hurricane Ike coming through in the afternoon. We did manage to get out a little that day. Yes - back to where I had seen the musky the day before. Two more sightings of the fish, but no interest. I'm assuming I'm seeing the same fish each time, as it is in the same general area. I would only see her on more time the entire week. We met a couple guys a few years ago from New Market and they pulled in on Wednesday. Great couple guys that we really enjoy shooting the breeze with and they just love our two girls. Things were a bit tough for them as well ... picking up a few small bass and pike. Sure does seem like the second week will be the same as the first - not much action. Had some pretty chilly nights while we were there and the wood-burner in the cabin made for some cozy evenings. Seemed to be quite a bit more windy too during the days. The weed beds were not producing, so I changed tactics and started to fish the rocky shore lines here and there throughout the week. The results were a bit better in picking up a nice 27" and 28" pike. Overall though, a very slow two weeks and less fish caught this year, than in years past. Poor Patsy had to settle it with jigging with a worm to actually catch a fish that second week. Sorry, no pic of the blue gill. she did have something strike the jig that just took the entire rod down and smacked against the side of the boat, bit in an instance, the line was snapped. Don't know what it was. Could have been a pike. I told here it was the musky I was after, now hopes of me catching her vanished. (HA HA HA). Our last day in camp turned out to be extremely windy, Water was rough, even on the river. Even the small bays were tough to fish, as it seems like the winder changed directions every few minutes. We ended up quiting early and pulled the boat by noon and started the packing. Actually though, this was our plan for Friday. Once we were done packing, we headed up to Lakair to see who all was in camp for the OFC GTG. Caught up with Tybo, Joey, GCD, Spiel, BassMasterMike and a couple other members, who I had no met before. (I have to apologize guys, I can't remember everyone's name / board name. Forgive me). Roy was due in later that night and, once again, Lew had packed up early and was already back home. LEW: I pray your family's health issues are improving. We were there for a couple hours, chatting, sharing stories, and had a great time. The wind was howling there as well, making it a big dangerous out on the open water. We spent some time chatting with Leslie and expressing our condolences for the loss of her mother back in June. Kevin's mother was also undergoing open-heart surgery that very same day. We also pray that the surgery went well and that Kevin's mom is on the road to recovery. We'll, that was our two weeks. Not much fishing action, but made some new friends and caught up with some old ones. Here's a few more pics from the trip. One of these trips, I'll really have something to write about. God's county. This is why I keep coming back. Great report, very nice looking pike, and the bass too. Thanks for sharing! Rich, great report! To bad the fishing didn't turn out to well. What were the water temps? Stll up in the 70's? 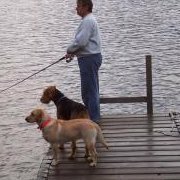 Bill: The water temps were running around 67-68F. I guess that would be roughly 19C. Held fairly consistent through the two weeks. The couple days of rain we had dropped it a bit at the surface, but it quickly came back. Marking a lot of fish down around 30 feet, but had nothing to go that deep. Couple guys used down-riggers for an entire afternoon and came up empty. Being below the Chardier Dams, the water was fluctiuating all year and was still higher than usual. It was coming back up again the day before we left. I used a lot of larger/heavier spinnerbaits this week. 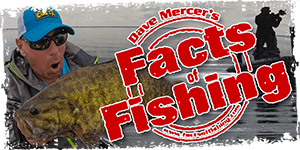 I have a shallow-invalder that I have a lot of confidence it as it helpd catch a pike a couple years ago well into the thirties and also raised a couple muskies with it. Tried top waters, jerk baits, cranks, trolling a bit each day, even some lucky strike spoons ... just about everything I had. Gotta be something they were looking for, but I just didn't have at the right place and tyhe right time. Anyway .. it was a great time and already looking forward to the OFC GTG at Lakair next June. Great write up and pictures. What an unexpected meeting in the parking lot of motel in Parry Sound. Small world! Awesome report sounded like it was a blast. Rich, glad you and Patsy made it home safely. Was wonderful hooking up with you guys for a day fishing, I had a blast and glad we could get Patsy onto some fish up our way. 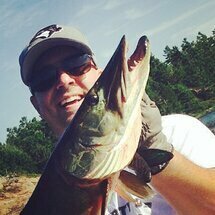 Wish too we could have gotten a pic of the big pike she had that self released, was a beauty. 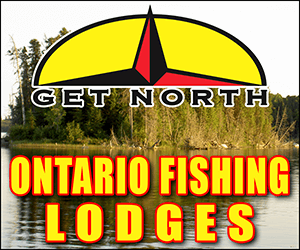 Sorry the fishing was tough for the rest of your vacation, was the common theme all over up there for the time we were there, took us until the last night to get into one pickerel but it still was worth it. Harley was a little lost last week without all his girlfriends around, it think he was in some type of Shih Tzu Utopia with all the female pups running about. We ended up getting a bunch of the decking done but still have some more to go next trip up. Was almost happy to be home and back in my office to get some rest. Was great meeting you, Patsy, Emma and Kia - can't wait til next trip up and hopefully we can hook up where you are staying next year. PS- Thanks for not showing the end result of my cleaning - hope the fish fry turned out OK. Very nice report and pics Rich!!! It was great to see you and Ms. Patsy at Lakair, thanks for taking the time to stop by!! !